When I found out I was pregnant with a little girl three years ago, I knew my life would be full of tutu's, bows and non-stop dress up. Now that my little girl is almost three, she is really starting to enjoy using her imagination and really loves dressing up. So, in short, tutu's and bows have become her obsession too, not just mine for photo props. Taddle Tell is your one stop shop for beautiful tutu's, birthday dresses, bubble necklaces, costumes, leg warmers and more! Etsy and other markets are flooded right now with handmade designers making similar items. However, it is impossible to find a shop that comes close to Taddle Tell's high quality designs & products. Everything is hand made with love. When ordering my outfit, I found Tammy & Dani to be very helpful and they were always on top of my order. I found my experience to be very personal and one of a kind. 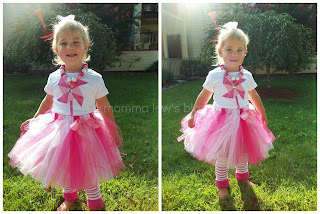 When browsing the shop, this Pinwheel Birthday Outift jumped right out at me as something I just loved. The shirt is 3D and comes with a beautiful rhinestone in the middle that my daughter just loves. The TuTu is THE fluffliest tutu she has ever owned. You can tell the tulle is not your run of the mill quality and I really like that this is something that will fit her for some time. Julia loved her Bubblegum Necklace as well. Even my bull of a daughter couldn't break it. We've been using these Baby Legs Legwarmers since she was born, so I am quite familiar with them and they are the perfect addition to any outfit! This was the first time she had worn them since she was about 6 months old, so I had no idea they would look just as cute on her at almost 3! 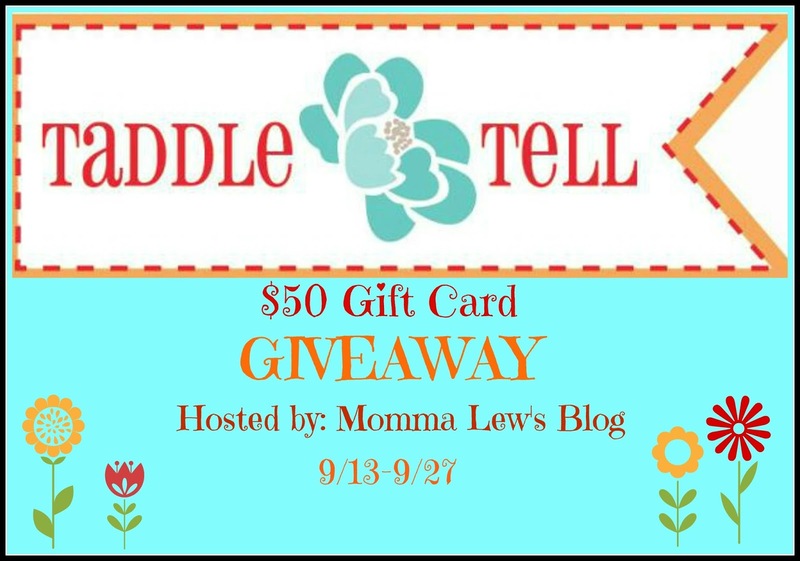 Taddle Tell shop has so much for all different occasions! 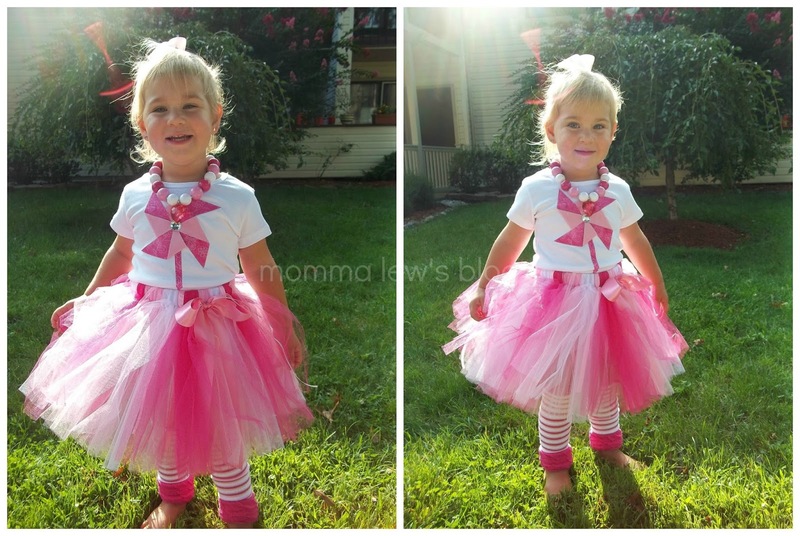 With Halloween just next month, their costumes are perfect for your little princess or even for you! Birthday Outfits are the perfect way to make your little princess look extra special on their big day! Sizes go all the way up to 5T! I am a HUGE Halloween fanatic and LOVE the Agnus the Witch costume! Having a girl myself, I hope mine is into playing dress up as well because there are so many cute and fun costumes now! 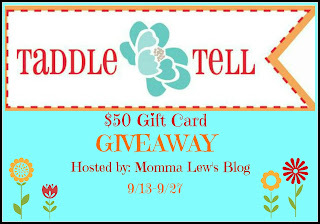 Taddle Tell would like to give one lucky reader a $50 gift certificate to purchase anything they would like from their shop! Giveaway will be open to US readers only, 18+. To enter, follow the steps in the rafflecopter below! One entry per household. The giveaway will begin Sept. 13 at midnight and end Sept. 27 at midnight EST. Disclosure: Getting Green with Baby and Momma Lew's Blog are not responsible for prize fulfillment. This giveaway is in no way associated with Facebook, Twitter or any other social media networks. For questions about this giveaway, please contact Momma Lew at reesann723@yahoo.com. I like the Harvest Party Birthday Outfit.